1) Times zones – especially when setting up interviews. Always be clear on what time zone you are dealing with so no reporter has their time wasted. Make sure to include the zone (CDT, MST etc.) in any correspondence you have with your client and media. 2) Releasing and pitching press releases in the morning – local time. It doesn’t matter if there is a 12-hour difference between the media and you, pitching in the morning is essential and worthwhile. 3) Have multiple touch points. You want to create multiple ways to e-mail and phone reporters. For example, first sending the press release, next a request for an interview and finally sending a complete media kit. This ensures that your story is at the reporters’ top of mind even if it is unconscious. 4) Make the pitch/content relevant to the local climate. It is so important to research the problems and ‘in the news’ stories that are occurring locally. Different countries or cities have different issues trying to be solved with industry best practices or new technology. 5) Integration across multiple platforms. If you are unable to be at a tradeshow or conference yourself it is helpful to use as many mediums to share news releases as possible. With today’s social media and digital communications reports have multiple resources at their hands to access information and it is important that your release are on as many digital channels as possible. These are just a couple ways to have a successfully media campaign across boarders. When done right you have the ability to gather lots of media attention. 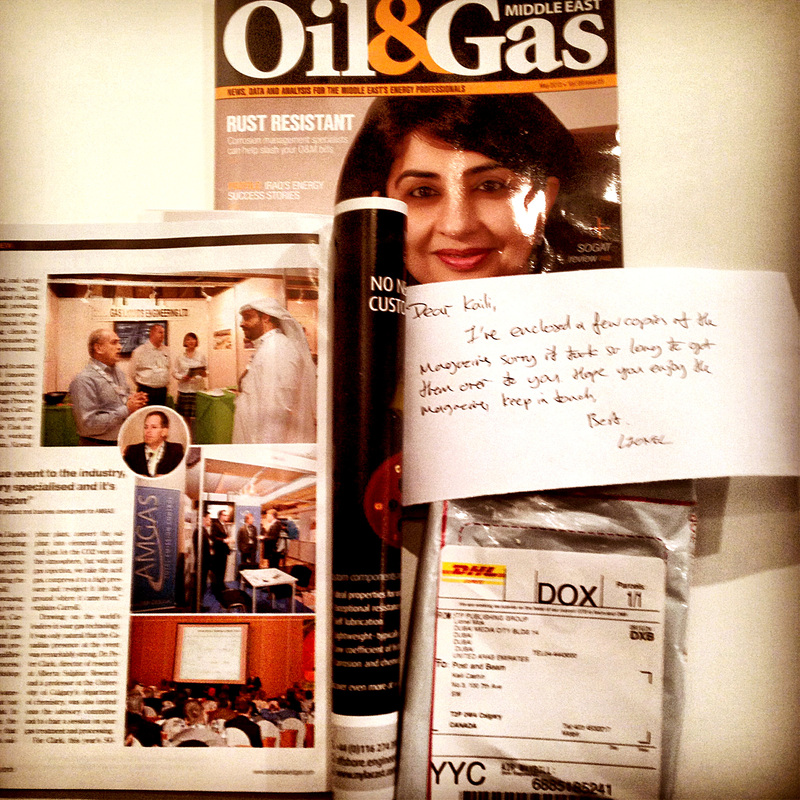 It is pretty cool when you see your client’s product or story in print publications as far as the Middle East!